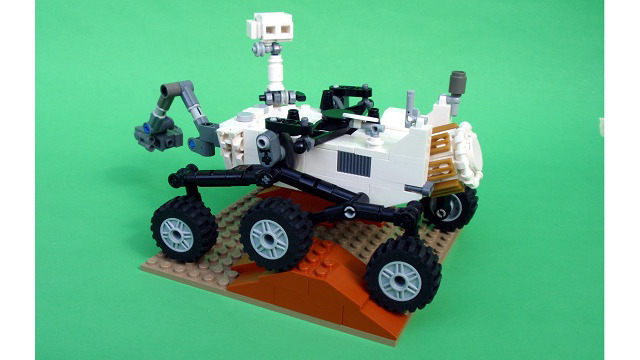 LEGO has approved the Mars Curiosity Rover set created by LEGO CUUSOO user Perijove, a mechanical engineer who worked on the actual Curiosity Rover at NASA’s Jet Propulsion Laboratory. The final product is still in development and no price or release date have been set yet. LEGO also provided updates on two other sets that were up for review, a Star Wars Sandcrawler and a Thinking With Portals set based on the Portal video game. The Sandcrawler was denied approval because of LEGO’s ongoing relationship with Lucasfilm on the LEGO Star Wars sets, and the Thinking With Portals set is still pending approval.